I had read that this book if short stories contained a lot of violence, and I tolerate violence well. But these stories for the most part took on a futuristic and absurd lens so that people were eviscerated and their lives seemed meaningless. The first 2/3 were manageable, not so the last. 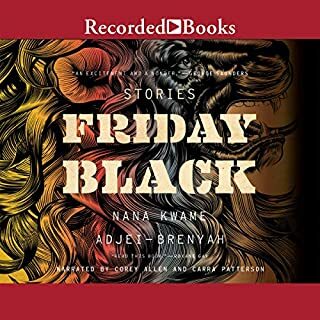 I hope I don't sound ignorant as a white reader-i have read reviews where these haunted stories evoke a black experience that is surreal in its gruesomeness-and I can recognize this quality in many of the stories, however, for me, it rendered life as too horrific to even imagine. Perhaps that's the point.